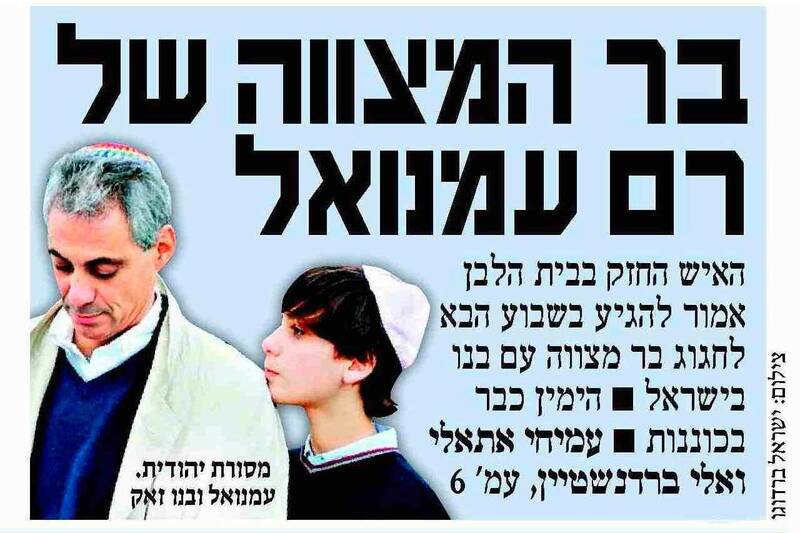 Maariv: Did Rahm Emanuel cancel his son’s Kotel Bar Mitzvah following threats from Kahanists? Analogies with the Richard Goldstone Bar Mitzvah fiasco would probably upset both men. It is not easy to hold a bar mitzvah ceremony for one’s son, certainly when one is the White House chief of staff. Rahm Emanuel, one of the key figures in the Obama administration, will come to Israel next weekend in order to watch his son Zach be called up to the Torah — but the busy chief of staff is still having difficulty deciding on the nature of the affair. Emanuel, who initially intended to hold the ceremony at the Western Wall, discovered that the fact that he is an American politician with Jewish roots and Israeli opponents is a recipe for trouble. And perhaps the reason for the change in plan lies in the restriction that is imposed on American diplomats not to spend time over the Green Line for non-work related purposes. The Western Wall, in the view of the Americans, is “occupied territory” that Israel annexed in the Six-Day War. The alternative celebration for Zach Emanuel, which is scheduled for next weekend, will be a small family affair. Jewish sources in the Old City of Jerusalem said that to the best of their understanding, Emanuel had apparently canceled the bar mitzvah ceremony he planned to hold at the Western Wall. “The Emanuel family is not expected to celebrate at the Western Wall in the coming two weeks; no one has coordinated such a visit with us,” they summed up. However, another source said that Emanuel might arrive at the Western Wall without coordinating it in advance and causing a commotion there. In any case, it is reasonable to assume that the visit will also be used for meetings with political officials in the Prime Minister’s Bureau, and perhaps also with Binyamin Netanyahu himself. Emanuel was among the initiators of the latest crisis between Israel and the US concerning construction in Jerusalem, which broke out after the visit of Vice President Joe Biden. However, Emanuel was also the one who led the American consent to “get down from their high horse,” as one of the ministers from the forum of seven put it, and the understanding that the pressure on Israel should be stopped for internal political reasons. Cross-posted from Promised Land Blog. Last Saturday I met an Israeli-American friend who came for a short visit from his studies in Europe. We talked some politics, and finally came to an issue which always puzzles me: the fact that American Jews are unwilling — almost unable — to criticize Israel, both in public and in private, and even when Israeli policies contradict their own beliefs. My friend noted that if some of the articles on the Israeli media – and not even the most radical ones – were to be printed in the US and signed by non-Jews, they would be considered by most Jewish readers like an example of dangerous Israel-bashing, sometimes even anti-Semitism. All known data indicates that the vast majority of US Jews support the democratic party, and many consider themselves as liberals (Barack Obama captured 78 percent of the Jewish vote). Yet except for a group of well known activists, you can hardly hear these people criticize Israel, which is not exactly a picture-perfect liberal democracy. 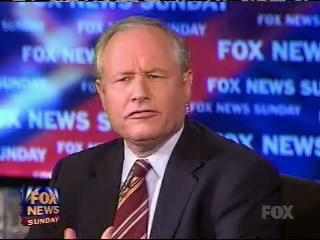 I am not talking here about the old Jewish establishment or about AIPAC. AIPAC are professional politicians. Their status is based on their connections to the Israeli governments, and their ability to promote Israeli interests in Washington. Breaking up with Israel — even just criticizing Israeli politics — will not just hurt their status, it will simply leave them unemployed. Expecting AIPAC or other Jewish leaders with good ties in Jerusalem to declare that, for example, Israel should lift the siege on Gaza, is like asking an insurance lobbyist to speak in the name of the public option. Naturally, I don’t expect anything from Jewish neo-cons either. These people like Netanyahu, they supported George Bush, and they will go on speaking about culture wars and Islamo-Facists versus Judeo-Christians even on the day Mahmoud Haniya converts to Zionism. You can agree or disagree with them, but at least their views are consistent. UPDATE: January 5 2010 — Haaretz’s Akiva Eldar posits similar arguments. In the run-up to his appointment as ambassador, Michael Oren, with the help of the mainstream US media, pulled off an amazing image makeover — the movement neoconservative became a pragmatic centrist. The Israeli media, however, is not playing ball. Oren, under pressure, tried to use the Goldstone Report to differentiate J Street from Americans for Peace Now (APN), with whom he has deigned to meet. His implication is that J Street is beyond the pale because it did not denounce the report. The facts do not back Oren’s argument. Both organizations have not denounced Goldstone. However, between the two, APN has clearly taken a markedly softer tone regarding the report. In fact, when the House of Representatives tabled resolution 867, condemning the Goldstone report, APN called on Congressmen to oppose it, while J Street only asked for its amendment. J Street is also closer to Oren’s and Israel’s position on the Iran Refined Petroleum Sanctions Act of 2009 (IRPSA), which it supports. APN, on the other hand, urged Congress members to oppose it. Indeed, last Friday (January 1 2009,) APN’s Lara Friedman published an blog post criticizing Oren for trying to force Obama’s hand on the issue. Clearly, J Street is closer to the Israeli position on two issues that Oren deems crucial. Why then, as reported in the Forward, did he attack the organization for “fooling around with lives of seven million [Israeli] people,” while stating in this interview that outreach to APN is “very important”? One option is that Oren is grievously misinformed. This was also the excuse for another recent incident casting doubt on his credibility. Last November, a woman, Nofrat Frenkel, was detained by Israeli police and interrogated for 2.5 hours after she wore a tallit and carried a Torah in the women’s section of the main plaza of the Wailing Wall. 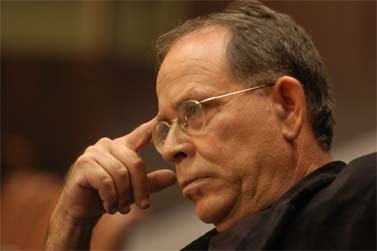 When questioned, Oren categorically denied the report. When asked about the incident at the annual meeting of the United Synagogue of Conservative Judaism in December, Oren dismissed these accounts as “widely misreported,” saying she was simply “led away” from the area. Such a blatant misrepresentation of facts could not be sustained for long, however. On December 22 2009, the Israeli Embassy issued a statement backtracking on the denial and shifting blame to the Foreign Ministry. Oren responded to a question based upon information he had requested and received from Israel, which was later proven to be incomplete. The ambassador has since demanded a full and complete report on the incident. That brings us to the second option: Faced with such a glaring gap, Oren makes up the facts as required. However, as with NGO Monitor’s Gerald Steinberg, one is struck by Oren’s hubris. It’s hard to believe that Oren does not realize that this type of behavior will be quickly exposed, given today’s reality of instant internet-based fact-checking. This carelessness could be the result of a situation where Oren’s fundamental political training tends to overpower his common sense. Michael Oren is a product of the Shalem Center, Sheldon Adelson‘s neoconservative institute in Jerusalem, which he joined in 1998 as part of its initial group of senior fellows. [Strauss] therefore taught that those in power must invent noble lies and pious frauds to keep the people in the stupor for which they are supremely fit. . . . Like the Grand Inquisitor, he thought that it was better for human beings to be victims of this noble delusion than to “wallow” in the “sordid” truth. And like the Grand Inquisitor, Strauss thought that the superior few should shoulder the burden of truth and in so doing, protect humanity from the “terror and hopelessness of life. In this context, Greenwald specifically describes William (Bill) Kristol as a “Straussian clone.” It is probably no coincidence that Kristol is a member of the Shalem Foundation’s board. Both options are worrying. The Israeli ambassador has a credibility problem, either the result of incompetence or, more likely, his ideological bent. The confrontational Oren that has emerged in the little amount of time since his appointment may have bigger problems than his credibility, however. Oren’s dishonesty seems to be the result of a need to defend positions that do not resonate well in the beltway, among most American Jews and in Israel. It is hard to believe that these positions originate in Jerusalem. Increasingly, they appear to be closely coordinated with two groups disenfranchised under the Obama administration — the old Jewish-American establishment and the pundits at the Weekly Standard and the National Review. If this is case, Michael Oren, who disingenuously called J Street a “unique” problem, is becoming one himself, for both Israel and the US. 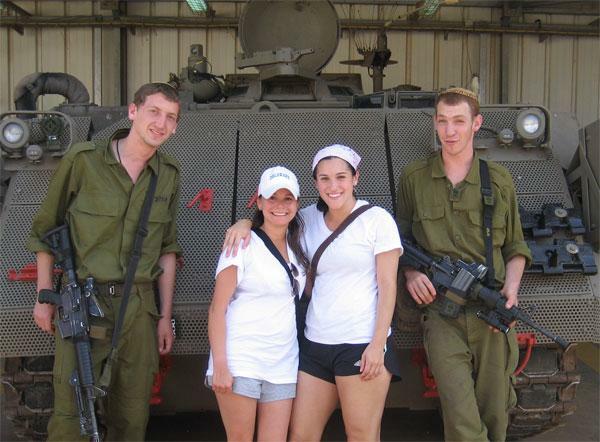 Razi Barkai: because you are everyone’s ambassador in the US, not only the Israeli right’s. 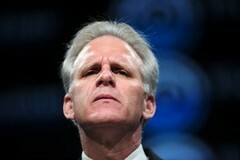 Michael Oren: yes, that is how I see it. The Catholic Church today is respectful of Jews and Israel; it also adores its former Popes. I don’t see a contradiction. I’m not sure why I’m so unmoved by these Jewish protests — maybe because I think Jews should keep their powder dry for actual problems. Or maybe because excessive whining is just so damn annoying. Those ‘actual problems’ include the obliteration, in Israel, of so many values I was brought up to believe were what Judaism was all about. This has probably already been in the news, and I am probably inadvertently plagiarizing someone else’s original sarcasm, but I couldn’t resist the temptation: Where is Bill O’Reilly when we need him? On a more serious note, this type of behavior probably contributed to the State Department’s damning report on religious freedom in Israel and the Occupied Territories. A recommendation issued by the Israeli Chief Rabbinate to hotels and restaurants has generated new tension between Israel and the Vatican [see this for another recently reported source of tension].